called space odyssey, like homer's version. is a 'condensed' version of how man came to travel in space. includes some other arcane stuff like alien stargate and perfect computers with AI like HAL9000. my score: 4 out of 10.
yeah yeah i know, in 1968 (when the film was released) it was state of the art. but do i really wanna watch a very long film which consists mostly of very slowly orbiting objects in space? 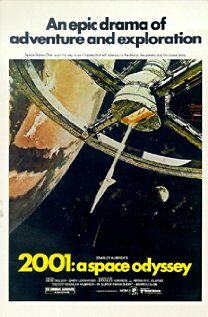 read the IMDB synopsis or the book (Arthur C Clarke), do not watch this movie!